A brilliant little jazz bar - with a vegetarian menu! 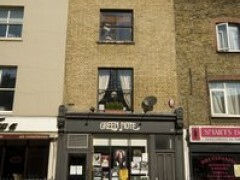 About: Green Note is a live music venue and vegetarian cafe-bar with live performances 5 nights a week. It is only open Wednesday to Sunday.